A completely new review of the soul is now derived from a common inheritance of the ancient heritage and mysticism, as well as the personal experiences of the author. The question of the soul is the oldest question asked by a man. All the answers to the questions about soul exist both in an individual and a collective experience, but they were hidden from a man in various ways. The knowledge about the soul was hidden by religions and science; religions did it through endless, futile and diverse theologies, myths and religious conflicts, and science hid it behind the materialistic teaching, saying that the soul is a kind of psycho-energetic entity which is created and disappears with the body. The reason for hiding the true nature of the human soul is to keep the man unconscious and trapped by the ignorance regarding his true nature. You already know that there were always a few rulers in this world who ruled over the vast majority of people who listened to them blindly. They exist today and it is not in their interest to awaken people's consciousness about the true nature of their soul, that it is the outgrowth of the same divine consciousness that enables everything, the entire cosmos, which is the basis for an intelligent design of all life, that the human souls have before their incarnation into the physical body participated in the creation of the whole nature, this planet Earth, all elements and all life on it. This is the true nature of our soul. However, life on this planet for a man is organized in such a way that it takes place in the great oblivion of consciousness about his divine soul, and on trying out all the opposites. The purpose of this forgetting is that through the renewal of consciousness the very soul of the man renews the divine consciousness itself, so it could be present in this world. The divine Absolute as everything-that-is expresses itself as the everything-that-can-be. It does so by means of the process of individuation. The first individuation of the awareness of the Absolute itself is the monad of consciousness known to us as the soul. Souls are monads of the consciousness of the divine Absolute, its individual emanation or manifesting. These monads of the divine consciousness or souls create all the potential life forms in order to be able to express all the potentials of the divine Absolute. They create cosmos and all the life in it. Every soul individualizes further so as to experience all the possibilities of life in a finer and more accurate way. The final or the finishing individuation of the awareness of the soul takes place in the shape of man’s being and life. Individual souls get incarnated and begin to gather various impressions while going through the drama of life in Earth and the consciousness of those impressions they bring back to the divine Absolute as the awareness of the very existence, as its awareness of itself. At the end of the reincarnation cycle, once they have learnt the very meaning of the existence, souls go back to its source, to what they actually are, to the divine Absolute, although this is what they have been all along during the course of their illusory existence, for nothing at all is possible outside the divine Absolute. Everything is merely it itself. In the soul of man this knowing is manifested in its strongest and purest way. "I have read many books on Spirituality. But nothing was complete and lucidly enlightening as this book. Every word contains wholeness and fulfillment. It is not an intellectual experience but a deep sharing by the author of his personal experience with vast learning and decades of meditative efforts. All the hidden mysteries of soul and life are explained in detail. The materialistic concept that soul disappears with the body is proved wrong. All through the human history, some rulers have purposely mind controlled humanity to live in ignorance of the glorious aspects of the soul. These mysteries are well exposed in this book. We all need some guidance in all aspects of our life. 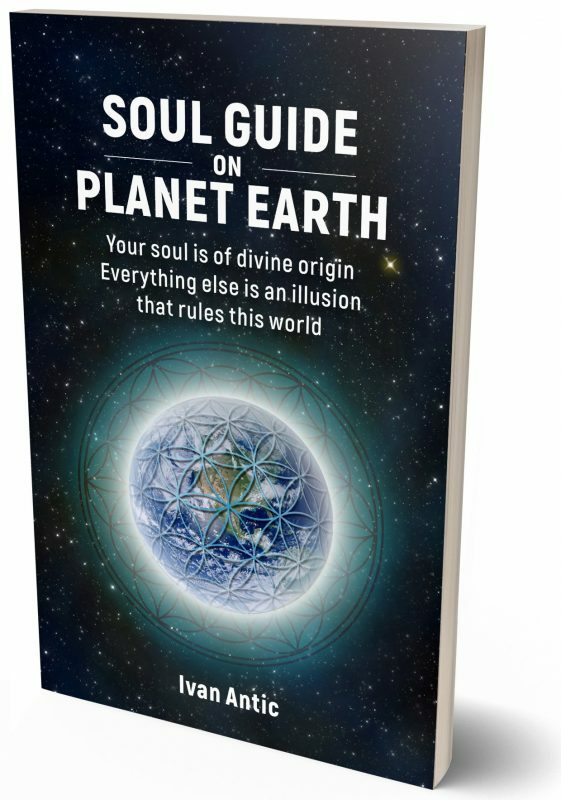 A soul guide is an ultimate necessity. This is an amazingly useful book. The author everywhere mentions many interesting reference books also that are helpful for us to continue our reading with great enthusiasm. His way of writing is mesmerizing which has a life-changing effect." "This is the most helpful and important spiritual books I have had the pleasure of reading." "Your guide and helping hand in understanding your inner world and the world around you better!" "This book remind us that we have the power to make many possibilities real if we want to." At first it was difficult and heavy, though something prompted me to continue no matter what. It became easier, lighter and more interesting, till the point where a lot of things are clear and frankly obtainable. Thank you Ivan Antic for this mind opening.